This is my little sister Felisha, who is a bubbly five year old. She always knows just how to make me laugh, and brings happiness to me every day. 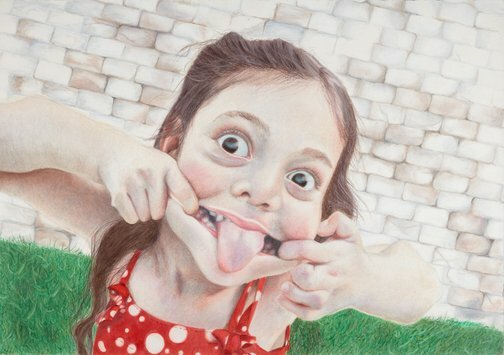 I have shown her fun, bubbly personality by drawing her pulling a silly face since she chose not to smile. She really is the happiest little girl I know, and a lovely little sister.